Call it a fad but you must agree that this idea of innovating flavours with conventional household chocolate is pretty brilliant! It was great fun eating all the different flavours and sharing it with everyone else. Yuzu+pepper was a very novel combination but unfortunately it is not to everyone’s liking. Personally, I like the fiery kick of the pepper at the back of my throat. The unanimous favourite would be japanese purple sweet potato which most people said tasted like our traditional potong just that it’s not icy. 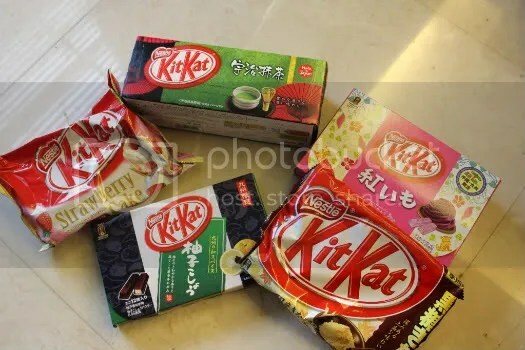 I like the pairing of black sugar and kinako too because of the warm nutty flavours in the cream sandwiching the wafers though the outer coat is still the usual milk chocolate. Strawberry cake was good because of the tartness of the strawberry-flavoured white chocolate. Uji green tea could have been way stronger and more bitter but I guess to cater to mass appeal they didn’t add so much powder. 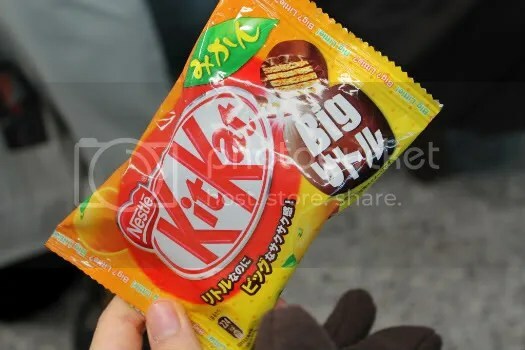 Though Orange kitkat was predictable, we just kept popping the balls into our mouths so much so it was gone in no time! 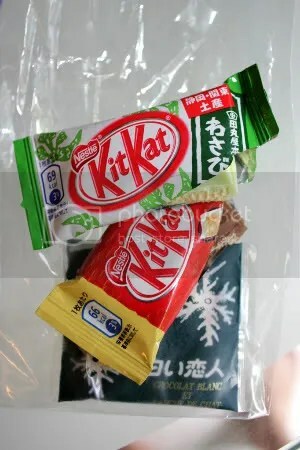 Back when the friend was in japan, she bought me wasabi kitkat too! The wasabi flavour was very light, but still evident.